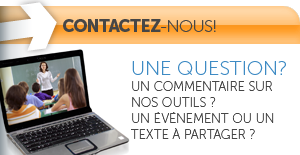 Réseau In-Terre-Actif - English : On-line toolkit "Do you know your rights?" The on-line educational toolkit “Do you know your rights ?” is intended for students of secondary as well as other people who desire to know more about human rights in Canada and around the world. It was designed by the Réseau In-Terre-Actif, the youth branch of the Comité de Solidarité/Trois-Rivières, with financial assistance from the Government of Canada through the Department of Canadian Heritage.